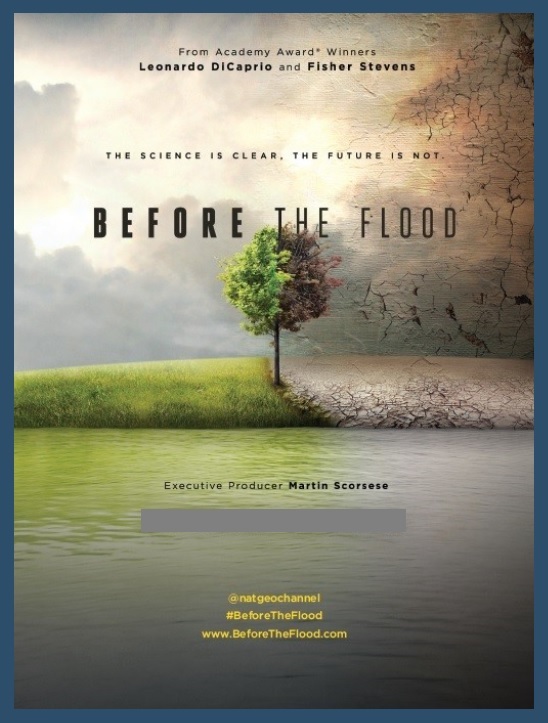 Two climate-related documentary films will be shown during Climate Action Week at the City of Shoreline’s Council Chamber, 17500 Midvale Avenue North. 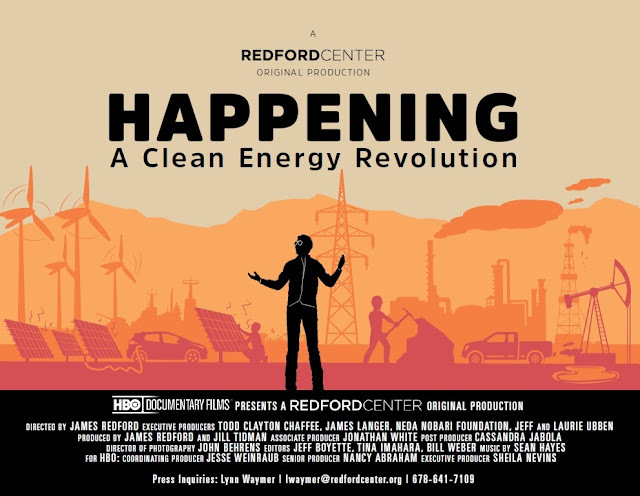 “Happening: A Clean Energy Revolution” will be shown both on Wednesday, April 18th, at 7pm, and again on Saturday, April 21st, at 4:15pm. Filmmaker Jamie Redford embarks on a colorful personal journey into the dawn of the clean energy era as it creates jobs, turns profits, and makes communities stronger and healthier across the US. Run time: 1 hour, 11 minutes. “Before the Flood” will be shown at 2pm on Saturday, April 21st. Academy Award winning actor Leonardo Di Caprio and world leaders take a look at how climate change affects our environment and what society can do to prevent the demise of endangered species, ecosystems and native communities across the planet. Run time: 1 hour, 36 minutes. Sponsored by the Bahá’ís of Shoreline, both films are open to the public and admission is free. No donations accepted.